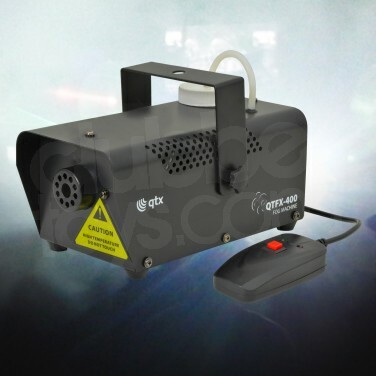 Add drama to your set and rock the dance floor in even the smallest of venues with this compact professional grade smoke machine. 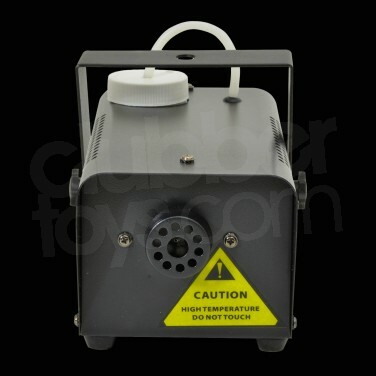 With it's compact, lightweight body this professional grade smoke machine is designed for use in smaller venues and for mobile DJ's. Small but mighty, this compact unit kicks out a surprisingly large volume of fog filling a whopping 2000 cubic feet per minute! 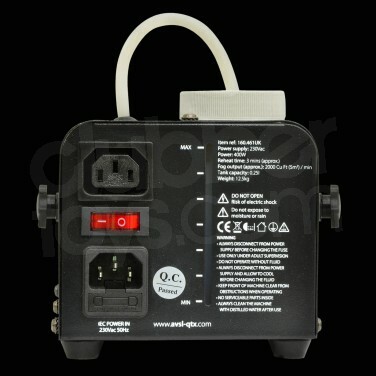 A wired remote control allows you to have fog on demand giving extra drama to key points in your set and the adjustable mounting bracket means that the unit can be fixed to lighting stands and trusses. Brilliant for fog effects where space is limited. Fill up with High Density Smoke Fluid (sold separately). A super funky portable strobe light that's small in size but big in effects! Your dancefloor will really be rocking in vibrant flashing light!